Jason Rios is a lifetime student of learning, living and walking in the traditional ways of his ancestors. He has been blessed and honored to be able to learn from and assist Carlo Hawk Walker Carlino, who is his friend and like a father to him. Jason is the Founder of CannaCURES (Cultural Unveiling and Restoration of Earth Based Healing Sacraments and Indigenous Medicines) which is an Independent Oklevueha Native American Church Branch. CannaCURES stands for, Honors and Protects Indigenous People, Spirituality/Ceremonies, Culture, Medicines and Sacraments from around the world. "Healing of the Nations” is a well suited tagline as he has community outreach programs that assist members across the Nation. Jason is the Prior (Commander) for the United States Indigenous Grand Priory for the Hospitaller Order of Saint Lazarus of Jerusalem. In December of 2016, he and 20 delegates representing The Order and CannaCURES Officially Deployed to North Dakota (Standing Rock/Dakota Access Pipe Line) to assist Water Protectors in a Peace Keeping and Medical capacity. Jason has and will always continue to make a stand for Natural, Human, Indigenous, Civil, Treaty, Animal, Water and Land Rights and is working inter-tribally and inner-tribally on uniting Indigenous Nations to give The People a single unified global voice in the United Nations. 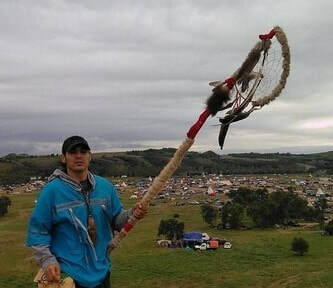 Jason stands with and walks with the American Indian Movement (AIM). He walked for Treaty Awareness and to stand against Domestic Violence and Drugs. Jason travels coast-to-coast when requested for doctoring and bringing the necessary medicines/sacraments that he has either grown or gathered and then prepared. He is Western Cherokee of the Cherokee Nation of Sequoyah of Mexico, Texas and U.S.A. Reservation and Church and also Huichol/Waxaritari of the Guachichil Nation. You will find him somewhere, out on the frontline walking in a good way and being a beacon of Light on a path with a heart. As founder of CannaCURES, Jason has studied various healing traditions and is well versed in the qualities of cannabis as a healing medicine. He also travels and studies with Carlo Hawkwalker and is Carlo's fire tender for this conference.